Sure you will you RAT! You’ll bury it and eliminate it just like all the other illegal activities you’ve had at Puke. This is a “blip.” Right K? A blip? Isn’t that what you call your gross violations? Arizona Wildcats AD Dave Heeke strongly supports coach Sean Miller The school said Wednesday in a statement that Phelps’ removal was "not related to the federal criminal proceedings in New York or the NCAA’s review of the facts underlying the allegations of unlawful conduct." Sources told ESPN that Phelps is accused of a violation regarding former Arizona recruit Shareef O’Neal’s academic transcripts. O’Neal, the son of former NBA star Shaquille O’Neal, committed to the Wildcats in 2017 before signing with UCLA. O’Neal sat out this season because of a heart condition. Then why was he let go? WTH? Oh…O’Neal knew nothing about the transcripts! I get it. He had a heart problem or he would’ve played at Zona. Dead, Buried, and Gone! OVER! NCAA WHO? Look at when this happened? 1999 and 2000! Are you kidding me? It took this long for this story to break? WOW! If this were KU it would be front page and the NCAA would impose sanctions. O’Neal committed to Zona and then signs with UCLA? Williamson looking to SCarolina and Alabama? Signed with Puke? This is a joke! 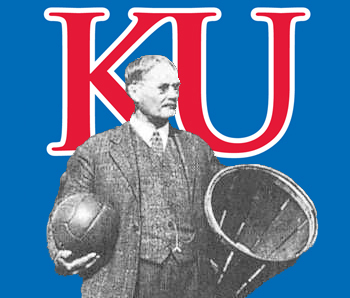 They are Dirty and they make KU look like a molested choir boy. The Duke thing isn’t getting buried. OH soooo – you mean KU ISN’T the only team where things happen and things are brought up about someone being raped? - -ahh that can’t be right can it ?- - NOt A DUKE Player - -I’m sure ESPN will take care of it - - I mean it’s DUKE for GOD’S sake 0 that can’t be right. @jayballer73 I doubt ESPN will care. After all, it doesn’t affect Zion’s destiny to be elected to the NBA HOF before he enters training camp. They gave 10 times the coverage to Suimon (spelled wrong) after he was at Maryland, just mentioned it while he was at Duke. @mayjay I hope NOT. I was laying it on REALLY REALLY thick. I’m sick and tired of programs getting away with murder. KU gets screwed every single year.